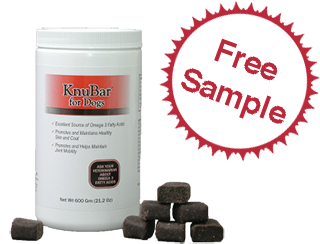 KnuBar™ is the healthy treat your pet will love! When it comes to healthy treats, KnuBar™ is the #1 choice for your pet! Rich in Omega 3 Fatty Acids and Glucosamine, KnuBar™ will make your pets look and feel like new! The best part is they will think its just a treat!